If you’re anything like me there will be precious few moments in the day when you’re not staring at some sort of screen. From reading the news headlines on my phone when I wake up to catching up on social media before I go to bed, I’m doing something on the internet. It’s a wonderful invention, but it does mean many of us are constantly distracted from the present moment – and the rise in popularity of mindfulness to treat stress and help people live more fulfilled lives is testament to how much we want to change that. You can learn mindfulness techniques in therapy, or from a book or audio course – but in the digital age we’ve become accustomed to instant gratification with zero effort. 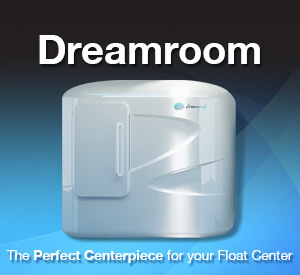 That’s where floatation comes in. 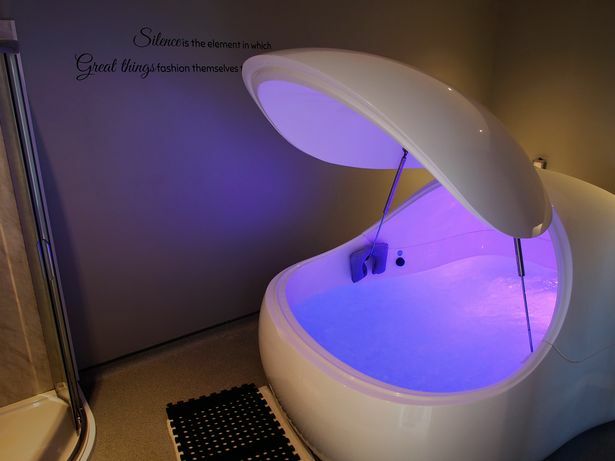 A silent hour cocooned inside a pitch black 8ftx5ft pod, effortlessly floating in water containing half a ton of Epsom salts… the stuff of dreams – or nightmares? I was apprehensive before we arrived at Float Level in the Chips building near Piccadilly station, Manchester. I was hoping for deep relaxation, but I was wondering whether I’d feel claustrophobic, or bored with nothing to distract me. My friend and I were welcomed by owner Chris Fuller, who opened Float Level last May. 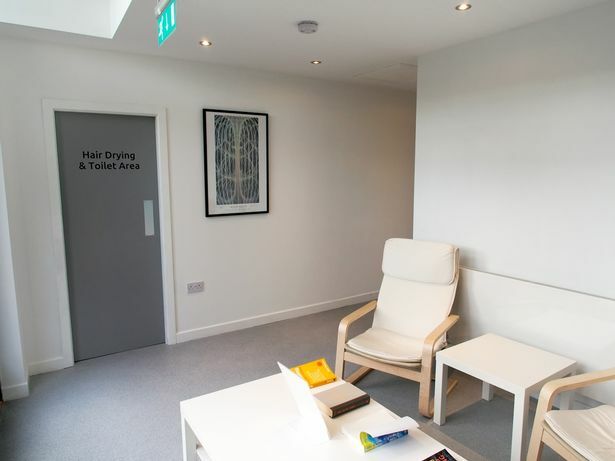 The former management and IT consultant tried floating to treat a nagging shoulder problem, and was so amazed by the results, he gave up his stressful career and looked into setting up his own centre. The scarcity of floating opportunities in the north of England prompted Chris to open the centre in Manchester, which so far has welcomed more than 2,500 people through the doors. 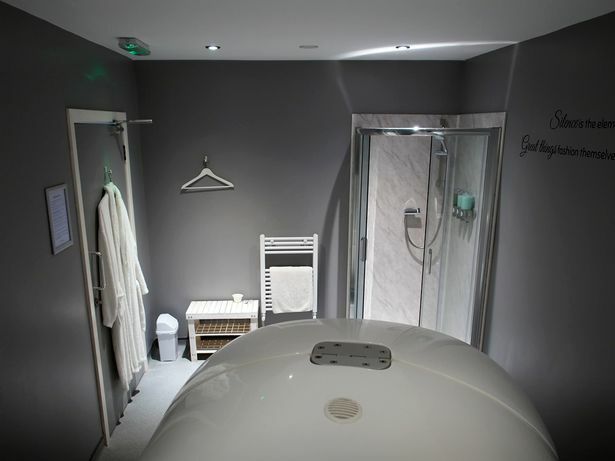 He says the benefits of floating include the removal of excess lactic acid after intense exercise, reduction in perceived pain levels, the lowering of stress hormone levels and an increase in problem-solving and creativity. 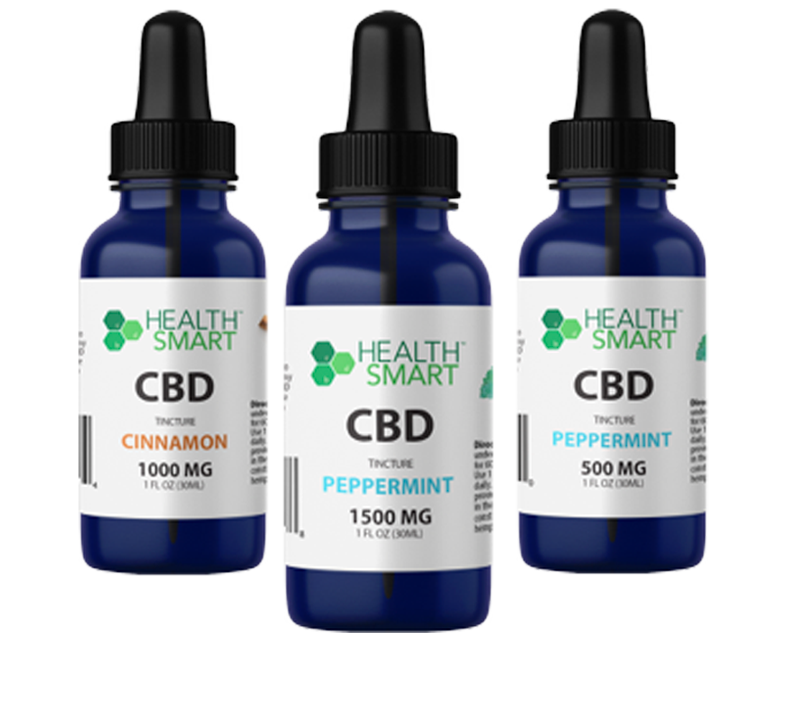 Before you float, you put in ear plugs and take a shower to remove any oils from your skin and hair. You dab petroleum jelly onto any cuts, as the high salt content will sting. 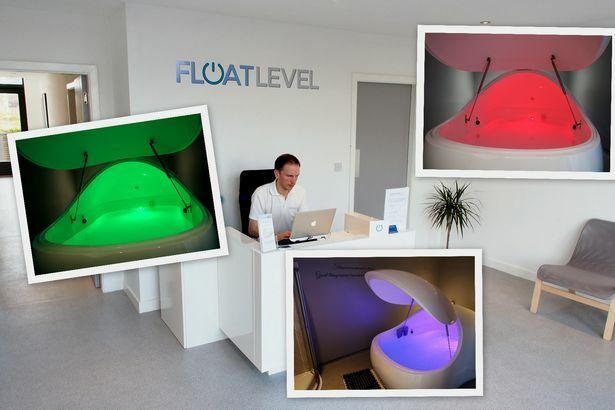 Lidless, the pod is like a huge bath, playing relaxing music and glowing with coloured lights. It looks lovely – but the idea of closing the lid on it and laying in the dark with no distractions was definitely anxiety provoking. I stood staring at it for a little while, weighing up whether I could actually go through with it. I don’t mind enclosed spaces but I was definitely worried about how I’d feel when the lid was closed to the outside world. But with a deep breath I put aside my fears and climbed in. The water is body temperature and feels very soft against your skin. After getting in, you close the lid and lay back. Because of the salt you move around for a little while before gently settling just below the surface of the water, effortlessly floating. The pod plays music for about 10 minutes, so you can get accustomed to your surroundings. You can leave the lights on but to get the best out of it you should turn them off and lie in perfect darkness. The first thing I noticed was a sort of burning, prickly feeling in my shoulders, arms, back and, strangely, my ankles. 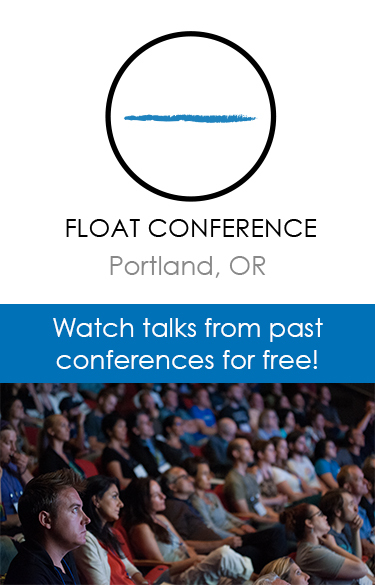 Chris explained floating helps you pinpoint where there is tension in your body – and as I spend eight hours a day at a computer, that made sense. It took quite a long time to find an easy position for my arms – it seemed no matter where I held them, there was tension, but eventually it was comfortable enough to put my hands just above my head. The feeling of weightlessness is quite disorienting at first but once you get used to it you forget about what’s happening physically and start paying attention to your thoughts. For me, it was impossible to concentrate on any thought at all. Mindfulness teaches you to let your thoughts pass you by, as though they’re a train you don’t get on. 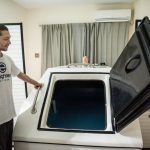 This is harder for some than others – but in the floatation tank it was as though I didn’t have a choice – it was bliss. Lying in the tank, you achieve the same state of deep relaxation as in meditation and under hypnosis – it’s almost like dreaming. During meditation I tend to get restless, waiting for it to finish and distracted by thoughts, wondering how much time has passed. But the only concern I had about the passage of time in the tank was feeling sad the experience would soon be over. 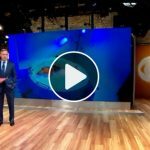 From what I’d read about floating, I thought I’d come out of the pod feeling relaxed and refreshed – which I did; it’s like walking around in a bubble for the rest of the day. The chaos of Piccadilly train station felt at arm’s length and didn’t affect me at all. But I didn’t expect to feel motivated to look after my physical health after having to acknowledge how much tension I carry in my body. 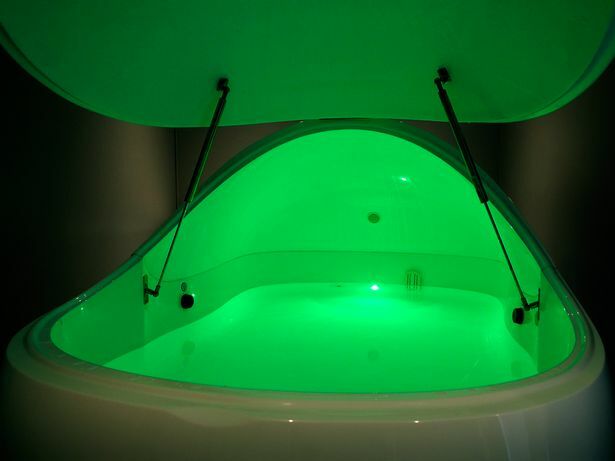 Since my float I’ve been telling anyone who’ll listen about how wonderful it was; how safe it felt inside the pod; the effortlessness of the relaxation and the desire to focus more on your well being after coming out.